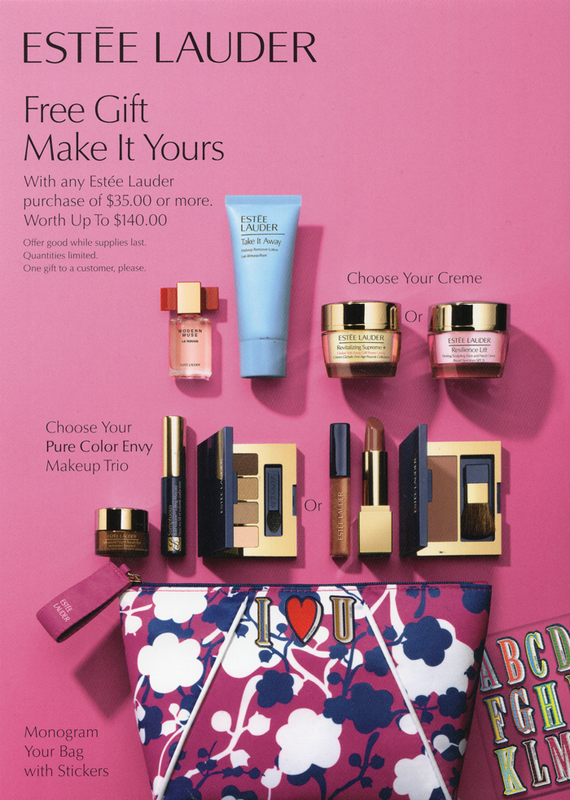 With any ESTEE LAUDER purchase of $35 or more you will get 6-piece Cosmetics and Monogram Bag with Stickers, worth up to $140. Make your own unique style pouch with alphabet stickers. This deal is only available at COSMOS Manhattan, Flushing, and New Jersey. Here is Step up additional gift with purchase of $75 or more. *Offer good while supplies last. Quantities limited. *One Gift to a customer, please. Call for details or Visit nearest COSMOS branch. 개성만점 유니크한 파우치와 스티커로 당신만의 파우치를 완성해보세요! 행사 기간 내 에스티 로더 화장품을 $35 이상 구매하시는 분께 $140 상당의 인기 화장품 6종과 봄에 어울리는 모노그램 화장품 파우치를 증정합니다. $75 이상 구매하는 분들을 위한 스-텝-업 추가 선물! 총 $225 상당의 사은품 증정!! 본 이벤트는 코스모스 맨해튼점, 플러싱점, 뉴저지점에서 만나볼 수 있습니다. *본 이벤트는 한정 수량으로 진행되며 사은품 조기 소진시 조기 종료될 수 있습니다. *사은품은 1인 1회에 한하여 증정합니다.